Original 1961 Belgian Film Poster from the film ' Gioventu di notte ' featuring Christina Gajoni and Tod Windsor. 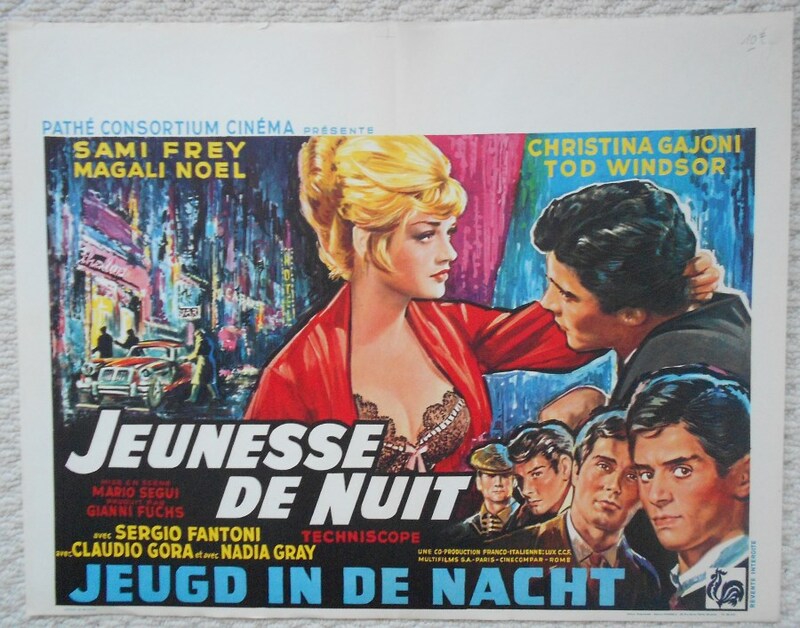 This film was also known as Jeunesse de Nuit in France. This poster is in VG-Fine condition and measures 19" x 14.75". The poster has small edge wear top border.